The Winston Awards recognize the best essay, research paper, and thesis written by honors students. Click for 2019 Winston Awards information. 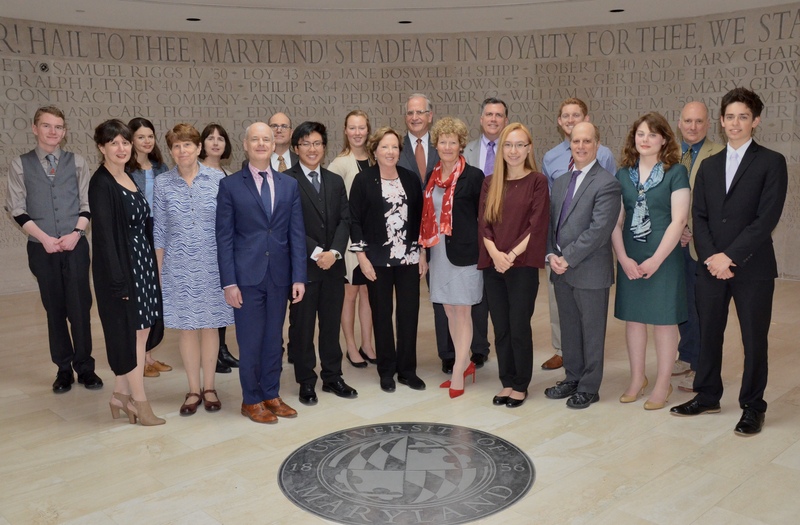 at a luncheon in the Samuel Riggs IV Alumni Center at the University of Maryland on April 27, 2018. "Environmental Racism: Industrial Dumping in Low-Income Communities"
"Butler Library in New York: The New Tower of Babel"
"The Internet of Things: The Progression of Interconnectivity that Shifts Power Away from the Masses"
"Computer-Assisted Learning in the Developing World: Technical Considerations for Early Education"
"Transcending the Ordinary: Artistic Transmission and Artemisia Gentileschi’s 'Penitent Magdalen'"
"The Rise of the Iron Ladies: Female Leadership in Democracies (1960-2015)"